One key approach I use in freelance travel writing is simultaneous queries. It’s one of the key strategies that helped me get more than 1000 articles published during my 9-year freelance career. But there’s a lot of controversy around this topic and I frequently get questions from new writers about this topic. 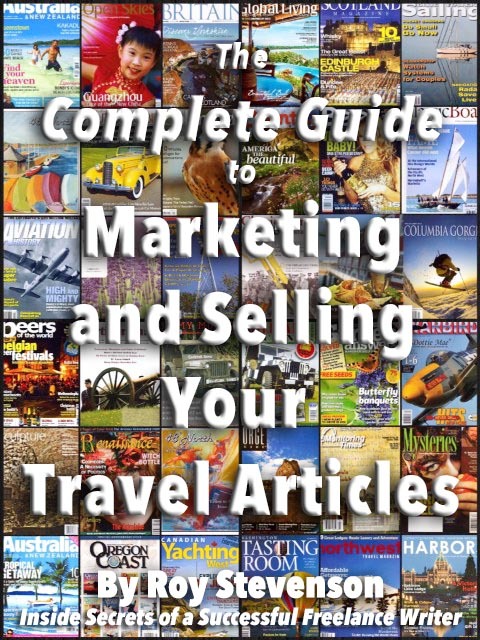 Q: I’m a new travel writer and have purchased every resource you have published and it has all been extremely helpful. In one of your articles you mentioned doing simultaneous submissions. I like that approach. It limits the opportunity for an editor to hold your article, or idea, hostage for weeks. That has happened to me twice. What I'm wondering is, what reaction have you received from editors when they realize they are not the only publication you pitched your article to? A publisher and an editor told me this practice is frowned upon in the industry. My own thought is that it is necessary. In today’s highly competitive freelance writing arena, simultaneous queries (also called "simultaneous submissions") have become an absolute necessity. First, let me define exactly what I'm talking about. 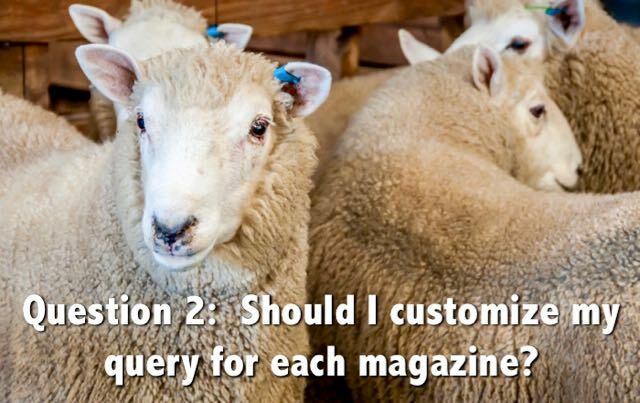 Simultaneous queries (or submissions) are when you send the same query letter out at the same time (simultaneously) to a distribution list of several magazines. This is a contemporary approach. The traditional, old school approach was sending your pitch out to one magazine editor at a time. If that editor rejects your idea, the writer sends the pitch out to the next editor on his or her list. The cycle repeats until an editor says “yes”. What’s the problem with the traditional approach? Writers complain that they can wait for months before they hear back from the editors. And, 95% of the editors don’t even respond to your query! You can imagine why freelance writers feel despondent with this approach. Freelance writers have essentially been forced to use simultaneous submissions because editors do not respond, or because they sit on our queries for so long. If you send your pitch out to one editor at a time, that editor is holding you hostage until that editor responds. Or, if enough time goes by you can assume the editor is not interested. Either way, you waste a lot of time waiting. If editors were snappier with their responses (acceptances or rejections) we wouldn’t have to send out simultaneous submissions! To counter this problem, I’ve used simultaneous submissions from the beginning of my freelance career. They work! In fact, simultaneous queries have been one of the cornerstones of my prolific success. If I didn’t use them, I would have missed out on hundreds of published articles—and a lot of money! 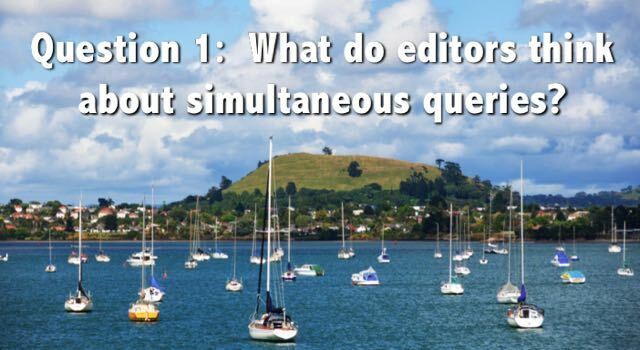 How do editors feel about simultaneous queries? I’m sure some editors frown upon this practice. They like to think they are the only recipients of our story ideas. But how you do business is your business. If you want to make any progress and thrive in this industry, simultaneous submissions are necessary. I don’t bother mentioning in my pitch that it's a simultaneous submission. It’s not the editor’s business. There are “purists” who say you should customize your pitch for each magazine. In theory this traditional approach to pitching seems like a great idea. Indeed it does have some merit if done correctly. Customizing your pitch means scrutinizing the writer’s guidelines for every publication you plan to contact. Then you need to tailor each individual letter to that particular publication. In my opinion—and in my experience—customizing your pitch is a lot of unnecessary work. 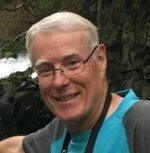 With more than 1,000 articles published in 200+ specialty magazines, trade journals, in-flights, on-boards, and websites, I’ve had plenty of success without customizing each query. In fact, my success is due to using a “generic” approach for my pitches. I always customize with the editor’s name and magazine name in each query. And I customize for each genre. Otherwise, my simultaneous queries are very generic. Magazine editors like to think their publication is unique. But the reality is that most magazines in each genre are similar. In many cases their content is identical. When I pitch military magazines my simultaneous query letters are identical, except that I have the basic courtesy to put the appropriate editor’s name and magazine in each query letter. Despite this standardized approach, I have a 90% acceptance rate for my military stories. This high publication indicates how similar these magazines really are. 1. Blindly select a random article from each of the following magazines: World War II Magazine, World War II History Magazine, World War II Quarterly Magazine, America in World War II Magazine, and Military History Magazine. Within any genre, each editor will have varying preferences for article length. But that’s something you agree upon when the editor has expressed interest in your story. My successful results using a standardized approach are not limited to the military history magazine genre. I’ve had similar responses in numerous magazine genres. For example, identical pitches to communications magazines have resulted in getting my articles published by several different magazine editors. Likewise, my generic approach to sailing magazines have resulted in my yachting destination stories being published in several different yachting magazines. Same with my standardized pitches to food, wine and beer magazines. My generic pitches to regional travel and lifestyle magazines have found homes in several different magazines in the Pacific Northwest. 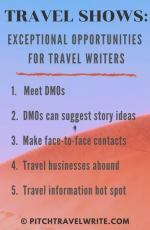 In fact, these same pitches to national and international travel magazines inevitably end up being published in one, and sometimes two magazines somewhere around the world. 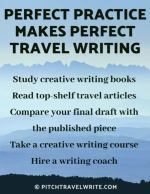 You can find examples of actual letters that I used successfully for several genres in my book The Complete Guide to Query Letters for Travel Writers. These are proof positive that you don’t need to customize each and every pitch. What matters is that you write a thoroughly researched and well-crafted pitch that proposes a unique, sparkling story idea. An editor won’t ignore an interesting story proposal out of hand. An editor may want you to tweak your story to make it a better fit for their publication. But they will ask you to do that when they respond to your email. Customizing your pitch is unnecessary. Based on my positive experiences using generic simultaneous queries, I highly recommend that you try them. No doubt you’re also concerned about what you would do if you sent out simultaneous submissions and more than one editor was interested in buying your story? This has happened to me several times, and it’s never been a problem. In fact, I’ve made out like a bandit every time this has happened. You see, I’ve figured out several strategies to deal with simultaneous acceptances. In most cases when more than one editor has expressed interest in the same pitch, I’ve sold the article to them both (when they are in different countries, or if their circulation does not overlap). Or, I have talked the second editor into accepting a different story angle about the same topic. Here's an article to help you learn how to use simultaneous submissions effectively. If you need help writing a query letter this article will help you. Using simultaneous submissions is one way to be more productive. Here are 5 ways to increase your productivity.